Red River College’s Steinbach Campus and the Steinbach Adult Learning Centre offer a wide range of flexible learning opportunities in the Eastman Education Centre in Steinbach. We offer full-time, part-time and evening courses for the Mature High School Diploma and numerous college-level programs. Our small class sizes, student-friendly atmosphere and convenient location are just a few of the many advantages our students enjoy. Whether you are just getting started, continuing on with your education or in the process of completion, Red River College Steinbach Campus can assist you in reaching your goals. 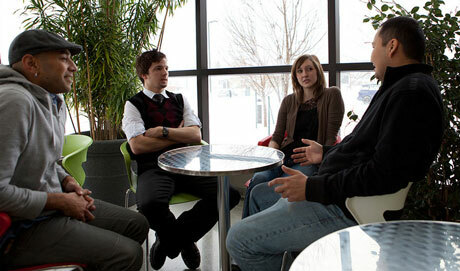 General information about Red River College’s Steinbach Campus. Full-time and part-time program information. High school courses offered through the Adult Learning Centre. Unit 2 - 385 Loewen Blvd.